For you the words "comfortable" and "sneaker" don't go hand in hand? The Rumble59-Burnout-Sneakers put an end to this - because they offer a comfortable and shock-absorbing footbed with tire tread sole. Tests in the wind tunnel showed that the shoe offers the best conditions for a speed-up from 0 to 100 in 5 minutes - but test persons warn that a top speed of 50mph should not be exceeded! Oldschool Hi-Top sneaker with extraordinary tire tread. Thanks to their high-quality workmanship and unique details, these unisex sneakers are undoubtedly perfect: Inspired by the classic 50s sneakers in baseball design and rounded off with a huge load of HP. 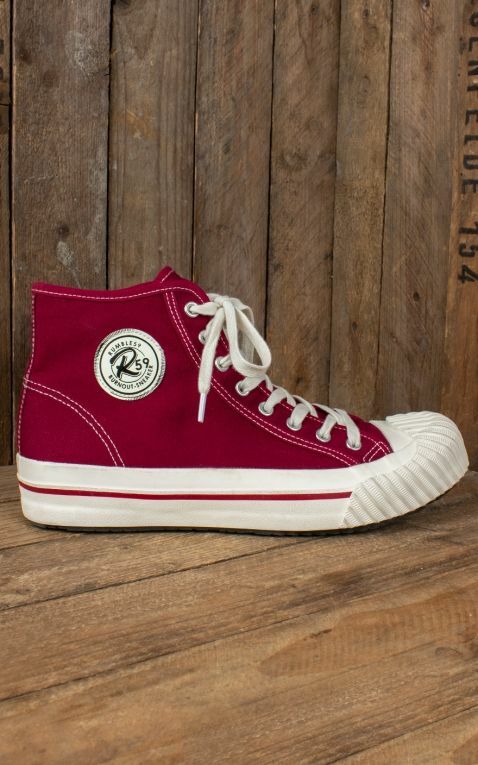 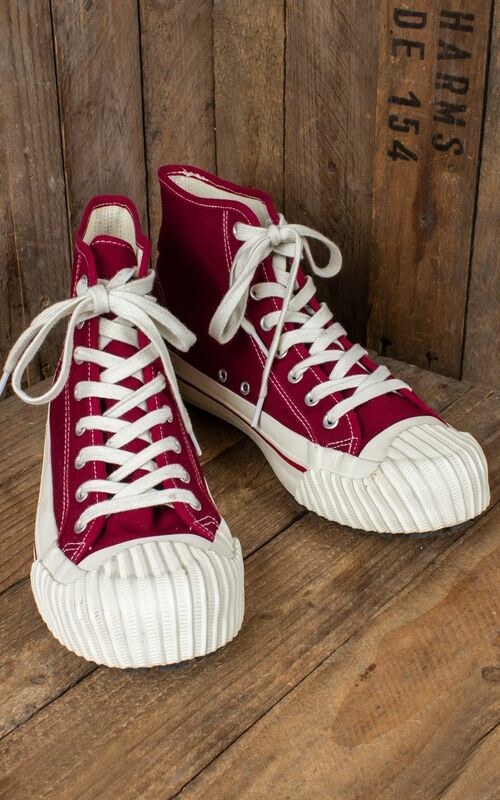 Its hi-top shape is made of robust canvas and equipped with sturdy metal eyelets for lacing and ventilation. The outside is decorated with a label patch on the ankles. 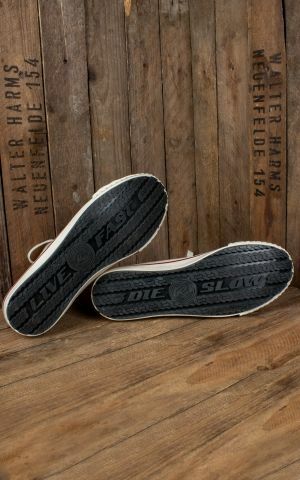 Great highlights in looks and function are the designs of the soles: The outsole has a deep tire tread for maximum grip and stability - crowned by the "Live fast - die slow" embossing. 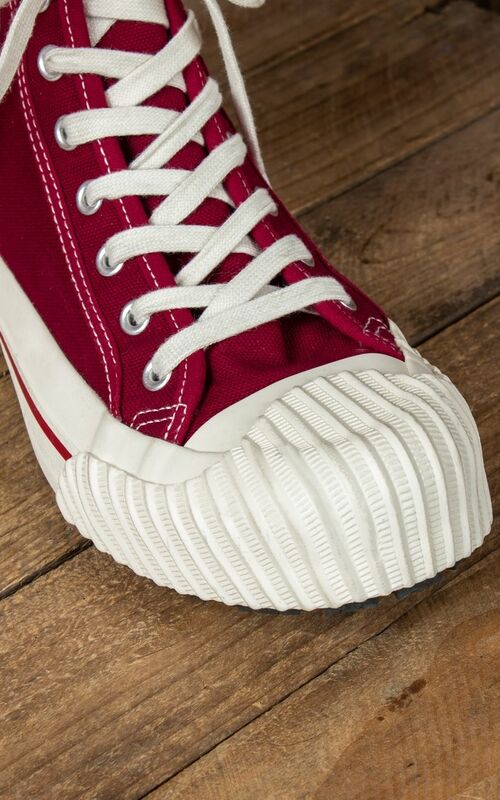 In these shoes, feet are held in place by the reinforced heel area and are bedded on a soft foam sole with a printed canvas surface. Below these soles are shock-absorbing insoles with an additional reinforcement of the 1/2 step area. 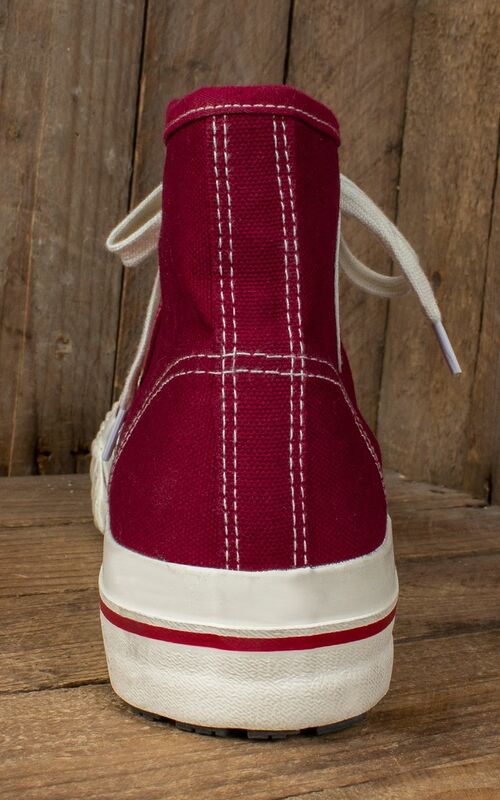 The extra high rubber sole surrounding the shoe, keeps away dirt and is highlighted by a red stripe. Its ribbed toe cap doesn't just look oldschool, but also provides optimal support and protection. 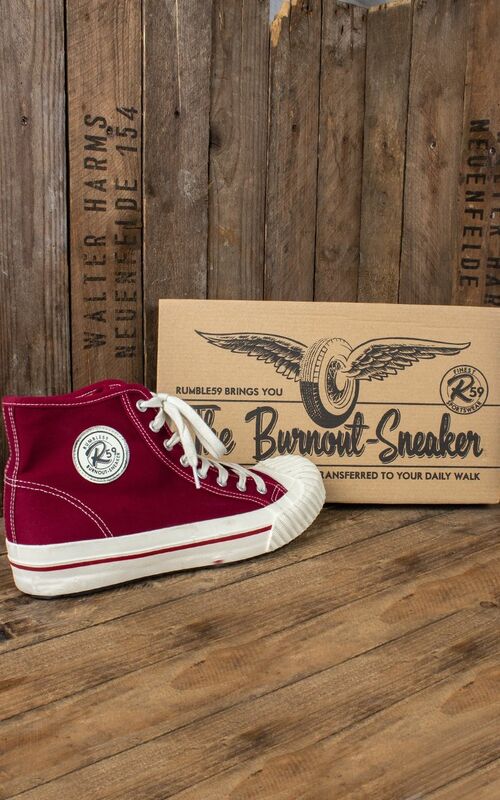 This shoe is always ready for burnout and does credit to any V8-powered hotrod - especially with the 4 available finishes. 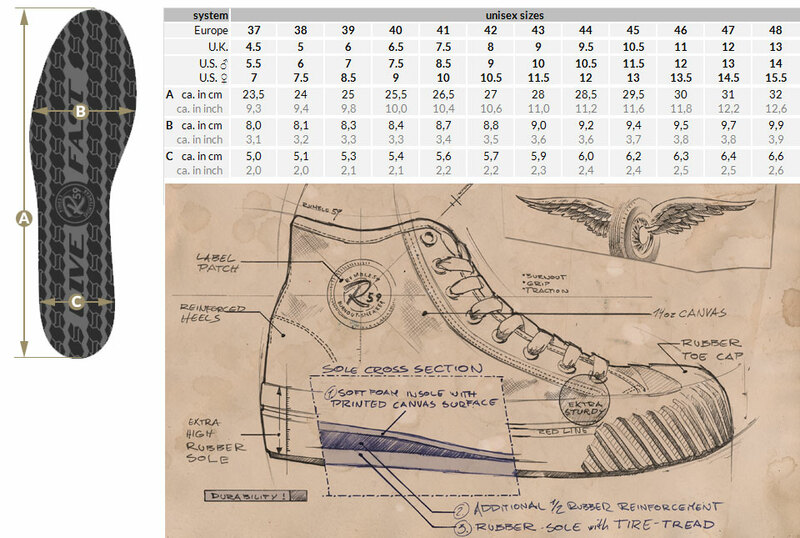 Info: Unisex shape - for the perfect size please check our size chart! 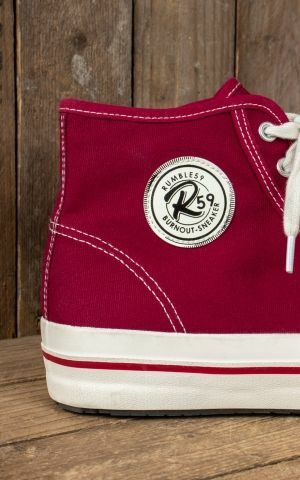 Rumble59 offers a wide range of rockabilly fashion! 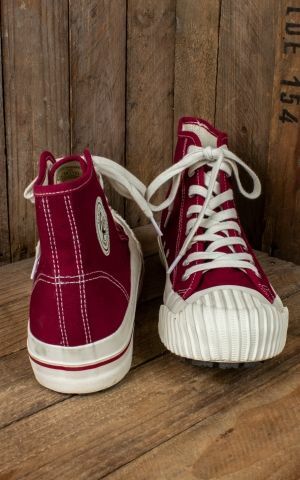 These great sneakers are a real eye-catcher and are clearly "made for walking" due to their comfort. der sneaker ist sensationell gemacht. Tolles Design, super bequem, ultra cool. 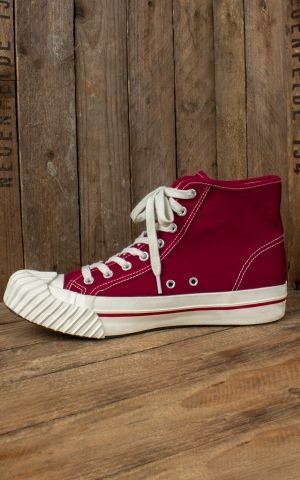 Der Schuh ist jeden Cent Wert. 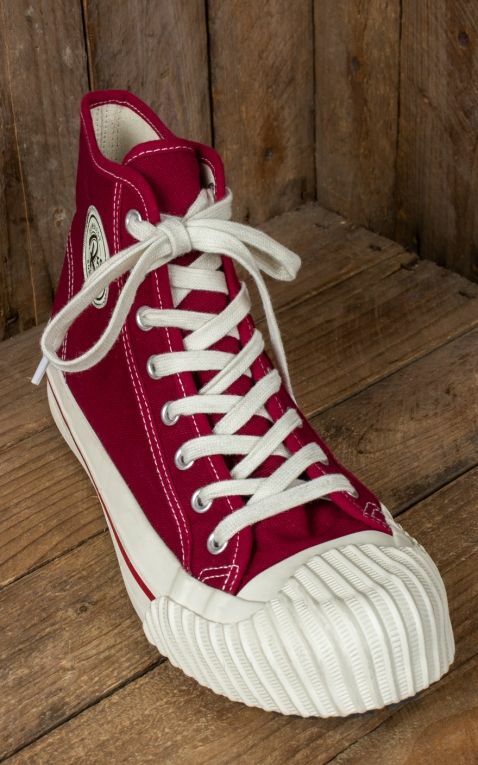 Erst einmal schluckt man bei dem Preis... 99¤ ist eine stolze Summe...bedenkt man aber, das Chucks Converse All Star in High auch schon je nach Ausführung zwischen 70 und 120¤ kosten und man dann die Qualität und Verarbeitung vergleicht...so ist der Preis gerechtfertigt !Diese Sneaker tragen sich einfach super und sind echt was besonderes...leider so besonders und geil, das ich mir 3 Farben geordert habe und meiner Freundin 2...!